At Dental Restorative Group in Massachusetts, we want our patients in Cambridge, Arlington, and Belmont to be as informed as possible, so we’ve compiled a list of 10 popular foods that are known to stain teeth. We recommend you avoid them or brush diligently after consuming these foods. 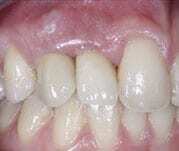 Many Cambridge patients love their coffee, but coffee has long been known to stain tooth enamel. Coffee also alters the mouth’s pH balance making your teeth more vulnerable to staining by other foods. Some solutions include drinking coffee with a to-go lid or using a straw to prevent the coffee from coming into direct contact with your teeth as much as possible. Sugar not only causes tooth decay, but creates an acidic environment in the mouth that makes your teeth more prone to staining and discoloration, while also producing plaque buildup and cavities. Even healthy fruits can affect a Cambridge patient’s delicate tooth enamel, and again, the acids from citrus fruit create an acidic oral environment that may weaken dental enamel and make it more prone to staining. Sugary drinks produce the same damage as sugary snacks, increasing oral acidity and encouraging the growth of harmful bacteria. Even sugar-free soft drinks are harmful, however, because carbonated drinks cause wearing of tooth enamel, making it more vulnerable to staining. 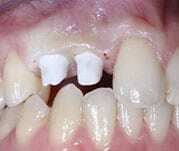 Many black, green, and herbal teas contain tannins, which naturally stain teeth and gums. Green tea leaves a dull gray stain on teeth, while black tea leaves yellowish stains, but even such herbal teas as chamomile and hibiscus may cause staining and discoloration if regularly consumed over time. Some studies suggest that adding a splash of milk or cream to your tea may reduce its tendency to stain your teeth. While berries are healthy and we highly recommended you include them in your diet, they are known to stain dental enamel. One solution is to consume them in a smoothie mixed with milk or yogurt. You can further avoid dental staining if you drink this with a straw. Red wine leaves a dull gray residue on tooth enamel, thanks to tannins such as those in tea and coffee, as well as acids that affect oral pH; however, recent studies indicate that the antioxidants in red wine may help prevent cavities. So, go ahead and enjoy a glass of wine, but be sure to brush diligently afterward. Tomato sauce causes acidity in the oral environment, making teeth more vulnerable to staining and discoloration. One solution is to enjoy a raw vegetable salad or munch on raw broccoli, cauliflower, kale, or spinach before digging into a plate of spaghetti or pizza, as these veggies create a protective environment that may protect teeth from staining. Curry, with its high content of turmeric, produces yellow stains over time. When eating curry, combine it with raw fruits and vegetables that help prevent stains, such as apples, carrots, cauliflower, and celery. Balsamic vinegar can also darken your teeth due to its natural color and acid content, which may encourage staining from other foods. Eating raw veggies with balsamic vinegar will help, but be sure to brush shortly afterward for best results. If you want to learn how you can have brighter, whiter teeth, contact Dental Restorative Group at our Cambridge office today to schedule a consultation at (617) 492-5081.